Go To West Philadelphia Young Entrepreneurs. With high-spirited and high-minded hyperbole, and a touch of Horace Greeley, a gathering of community and political leaders from West Philadelphia welcomed Sen. Bob Casey, Friday, as he unveiled a proposal that would bolster -through tax incentives and accelerated depreciation- a ‘Promise Zone’ designation that was given in January to this segment of West Philadelphia, one of only five initially chosen by the Obama Administration. Bordered by the Schuylkill River on one side and the Market-Frankford Line on the other, the West Philadelphia Promise Zone has economically waxed and waned over a period stretching back four decades. Yet it also boasts an array of remarkable assets: that include nearby Drexel University and University of Pennsylvania, Amtrak’s 30th Street Station, a notable housing mix of well-preserved row homes and others of a Victorian-style, as well as a trolley Line that runs through the heart of its commercial corridor. An area that was at one time home to Breyers Ice Cream, at 43rd and Woodland Ave., of Chilton Publishing at 56th and Chestnut St., and remains the home of Amoroso Bakery – founded in 1904- is also the headquarters of a number of fledgling high-tech industries that have been spawned by graduates of Drexel and Penn. After acknowledging that his legislation would essentially “codify” the scaffolding established by President Obama’s “Promise” initiative, Sen. Casey elaborated on his vision of the “Promise Zone,” as part of an overall effort at “reducing crime” and creating educational and employment opportunities. The Casey legislation will establish a ten-year period of eligibility for participation and laid out requirements to qualify. For qualified properties participating within the zone, they would be eligible for additional first-year depreciation of 100% of the adjusted basis of the property. In addition, the legislation creates an employment credit to be provided to businesses that employ Promise Zone residents; a credit which would be applied to the first $15,000 of qualifying zone employee wages. The first five Promise Zones chosen were: San Antonio, Philadelphia, Los Angeles, Southeastern Kentucky and the Choctaw Nation of Oklahoma. A Mother's Courage & The Fuentes Family of Camden. Camden – When Angel and Ricky Fuentes were in their early teens and attending middle school, their summers were spent waking up at 3 a.m. and accompanying their mother and Uncle Angel to work in the fields of Southern New Jersey. dynasties that rest on the inspiration of patriarchs and matriarchs: the Adams family, Roosevelts, Kennedy and Bush families are among the most eminent. But few could have projected a future political force emerging from the young laborers of New Jersey’s farm fields of the mid-1970s. Yet the improbable success story of the Fuentes family is similarly founded on the slender shoulders of Maria Caban Fuentes. Although they would likely demur from the notion of considering themselves a dynasty, albeit local, the still emerging prominence of the brothers of the Fuentes family of Camden, NJ are a reflection of the indomitable spirit of their mother, Maria. As the matriarch of the Fuentes family, Maria’s encouragement and example fostered the development of a political acumen that would lead to public accolades, as well as election and legislative victories. In forgiving and walking away from an abusive husband, according to Assemblyman Fuentes, she instilled in her six children a sense of understanding and “fortitude.” It’s a characteristic that has strengthened their capacity to maneuver through many a political obstacle, garnering for them the respect of opponents and colleagues alike. “She raised us to help others in need or in trouble,” explained Assemblyman Fuentes. Born on a little coffee, sugar and potato farm in Moca, Puerto Rico in May of 1940, the fourth of eleven, Maria Caban imbibed the work ethic and Catholic faith of her parents, Manuel and Leoncia Caban. Her father would eventually become a Third Order member of the Franciscans, instructing those preparing for sacraments. Although she briefly contemplated becoming a nun, she followed her father’s example, and with her friend Agripina, regularly visited other families for prayers. By the age of nineteen, Maria had met and married Pablo Fuentes. .After settling down in a home near Pablo’s parents, Pablo began earning extra income for an already growing family by travelling back and forth to New York and New Jersey,working at a variety of farm and factory jobs. The four children born in Puerto Rico, included; Pablo, Angel, Rosa and Ceferino. At Pablo’s urging, the family sold their home in Puerto Rico in 1966 and moved to New York city. The Fuentes family remained in Brooklyn for the next seven years; years that saw the birth to two more children, Jeraldo and Melvin. 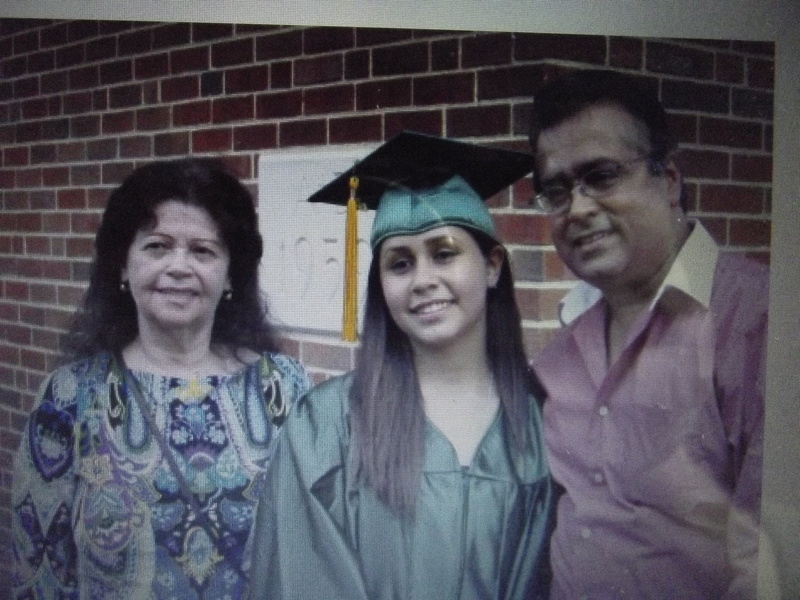 Despite the dramatic changes from a life on the island of Puerto Rico, Maria was comforted by living in the same apartment building as her brothers Juan and Angel, both busy raising their own families. “Every Sunday she would take all of her children to St. Rita’s Catholic Church,” recalled Angel Fuentes, where he and his brother Pablo were altar boys. In addition, she could turn to the local Spanish radio station for her favorite folkloric music. Listening to performances by such legends as, Jesus Sanchez Erazo, known also as “Chuito el de Bayamon” or Ramito Lucide and her personal favorite Lucecita Benitez, were a reminder of her family and friends back in Moca, Puerto Rico. However, the period was also fraught with many travails, as her husband would disappear for days at a time, only returning to engage in what became a pattern physical abuse, even hitting her “in front of her children,” according to Mr. Fuentes. The abuse was further exacerbated with Pablo arriving home one day with a daughter, Peggy, the product of another relationship. Afraid to go to the police about her husband’s abuse, her brothers eventually found out and immediately helped her find a second floor apartment where she soon found support and a friend in the owner. By early 1973 the family had fled to Camden, NJ, where Maria’s brother Angel had again found her an apartment on Federal street. The city of Camden was a “happy” refuge that lasted, she recalled to her son, “for a whole year.” As a single mother, she was eligible for government assistance and food stamps, and occasionally found work in factories to supplement that support; retiring at the age 65. Maria and Pablo were soon divorced, and since that time she has avoided any similar relationship. Instead, she focused all of her energy on raising her family..
Today, four of her sons serve in a variety of official capacities in Southern New Jersey: Angel Fuentes, who served as the city of Camden’s Council President for nearly a decade, is today the Democratic State Assemblyman for Camden; brother Ricky who also worked in the farm fields of New Jersey with Angel, is a Councilman in Woodlynne, NJ; their brother Jeraldo is the Mayor of Woodlynne; and Melvin has been in law enforcement for the Camden County Police for more than 16 years. Among the legislation introduced by Assemblyman Angel Fuentes are bills requiring physicians or other medical professionals, victim counselors and mental health professionals who suspect someone is a victim of domestic violence, to report it to local law enforcement.The bill also has sanctions for those who fail to report an act of domestic violence while having reasonable cause to believe that a person has been a victim of such violence. Another bill established a tuition abatement program that provides a waiver of all tuition costs to persons who are documented victims of domestic violence, who as a result of the violence become unable to complete college coursework for which tuition was paid. A third piece of legislation offered by Assemblyman Fuentes, the “NJ Security and Financial Empowerment Act,” grants victims of domestic violence an extra 20 days off from work, within the year following the incident. “When students come to school armed with the knowledge that their parents care and are engaged in their education and are there to help and support them, they are more open to instruction and achieve at higher levels,” says nationally recognized educator and founder of Camden, NJ’s Leap Academy, Gloria Bonilla Santiago..
Sen. Bob Casey & Latino House Leaders Becerra & Ruiz Call for VA Reform. Sen. Bob Casey (D-Pa.) addressed the issue at Philadelphia’s 30th Street Station, Wednesday, calling for “accountability” and remedial action from both the VA and the administration. With the Inspector General’s interim report confirming allegations of delays in care and manipulation of records to conceal those delays “throughout” system, Sen. Casey’s statements were echoed by two California Latino Congressmen, the U.S. Rep. Xavier Becerra and U.S. Rep. Raul Ruiz, who released statements addressing the troubled VA following the resignation of VA Secretary Eric Shinseki. The Veterans Administration health care system is the largest in the nation, serving nearly 9 million veterans. Of the 1.2 Hispanic Veterans who are eligible for VA health system services, 18 percent or nearly one-in-five Latino Veterans have service-related disabilities; and are likely to be dependent upon the services of the troubled system. The suggestion that veterans issues should be treated in a bipartisan manner and “not like a political football,” reiterated comments to El Hispano from (ret.) Lt. Col. Tim Meserve, the director of the region’s Veterans Multi-Service Center. The Veterans Multi-Service Ctr. 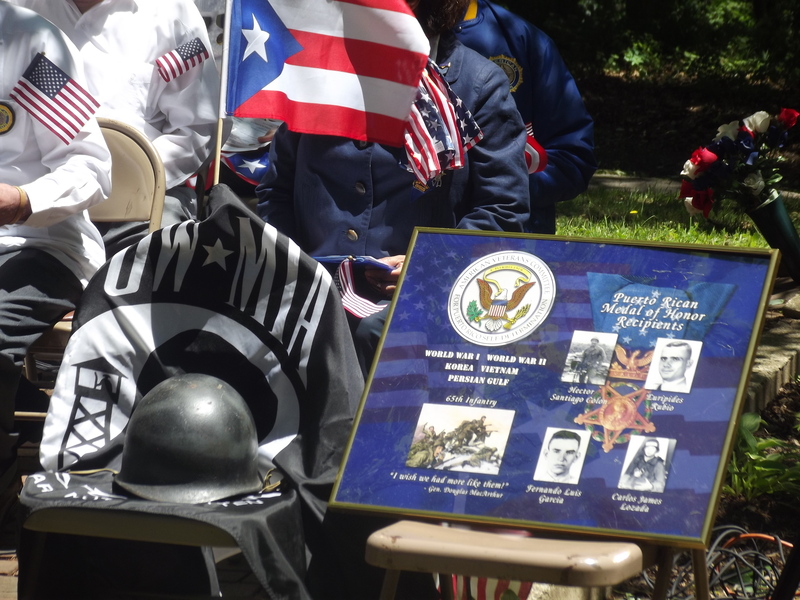 has worked closely with local Latino Veterans like U.S.M.C. Juvencio Gonzalez and U.S.M.C. George Perez. Among other things, the measure includes provisions to improve veterans’ access to information about the claims process; provides monetary incentives to develop claims submission; recommends audits of regional offices of the Veterans Benefits Administration; improves accountability and oversight of VA regional offices; and demands greater cooperation from federal agencies to transfer requested information. Paul Perez: Hometown Soldier Looks to Become Trenton Mayor. Andy Jackson, Zachary Taylor, Ulysses Grant, Rutherford Hayes, Benjamin Harrison and Dwight Eisenhower were among those highest in rank. On Tuesday, June10, voters in the city of Trenton will go to the polls with a similar opportunity to elect a retired U.S. Army officer and someone who has been described as a hero. 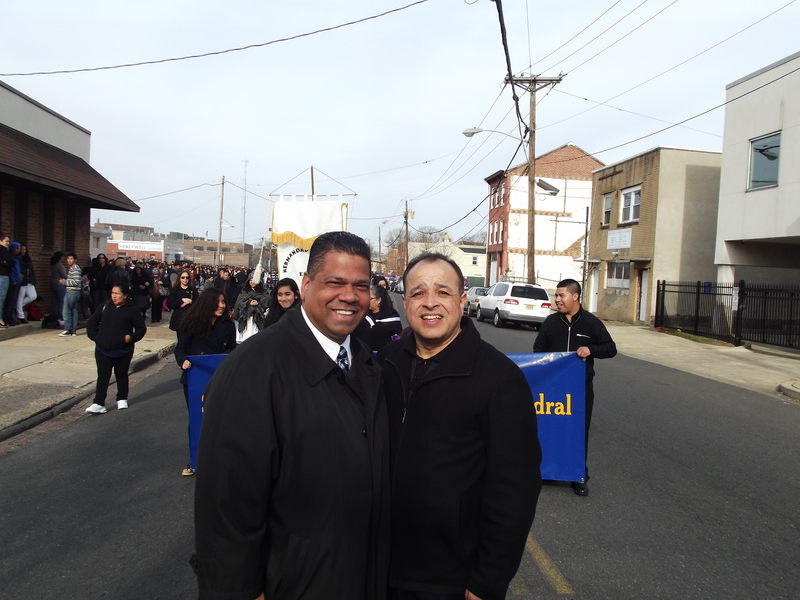 Born and raised in Trenton, and one of fifteen children born to Puerto Rican parents who arrived in the city some fifty years ago, if elected Mr. Perez would become the city’s first Latino Mayor. While agreeing on the need to “condemn” the city’s major high school as quickly as possible, Mr. Perez has also proposed investing in innovative and “evidence-based practices” to improve the city’s schools. ”Our community needs a quality connection with the school board and the superintendent’s office,” he said. Even before taking office, Mr. Perez has demonstrated an aggressive approach to economic development, reaching out to a number of corporate executives in the energy field and high-tech industries in Mercer County and abroad. 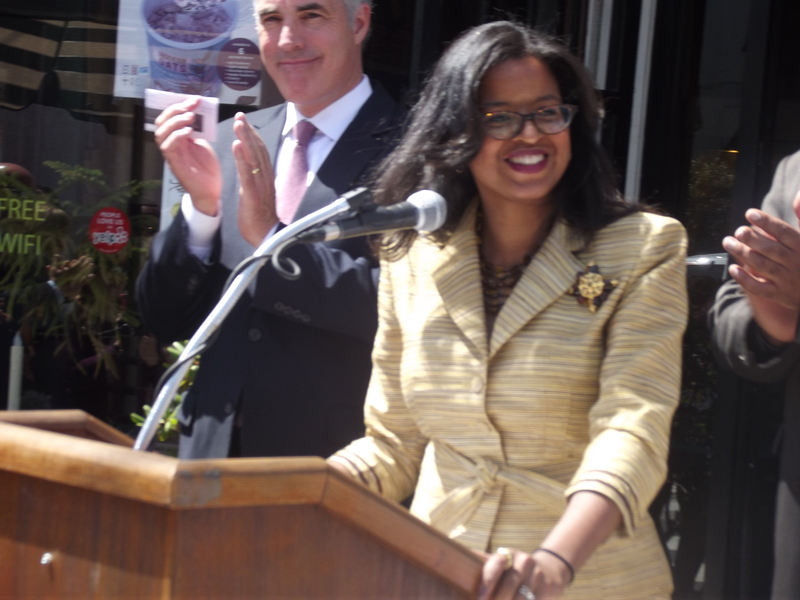 In addition, he voiced his intention to enhance Trenton’s existing assets in order to entice business growth and investment: including promoting “tourism” to this historic city, creating a full-time ‘Economic Adviser and Marketing Specialist’ position and extending the River Line that ends at the Trenton Transit Center. In a city that experienced a 15 percent spike in crime after a massive layoff of police officers, the former Homicide Officer is proposing a comprehensive anti-crime plan that would utilize camera technology in high crime areas, more neighborhood and “beat-foot” patrols, and “proactive” units to stem the flow of drugs and violence. “Jackson is part of the problem, he’s part of the machine in city hall,” said Mr. Jones. Perez’s opponent in Tuesday’s runoff, Eric Jackson was Director of Public Works.